The main factors driving the access control market are investment in new buildings and refurbishment of existing premises, and the need to protect vulnerable locations against the threat of terrorism. Sales of access control and security applications registered massive growth after the 9/11 debacle. 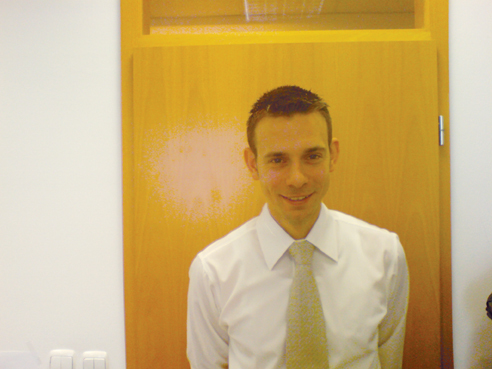 To meet the growing attention on the access control market particularly in Slovenia, SecurityWorld INT’L has interviewed Mitja Kolbe, Manager of International Business Development for Spica, a specialist in the business time management and access control industries, who in the interview mentioned Spica’s competitive edges and the access control market conditions in Slovenia. Please introduce your company and update our readers on your latest, breakthrough product. 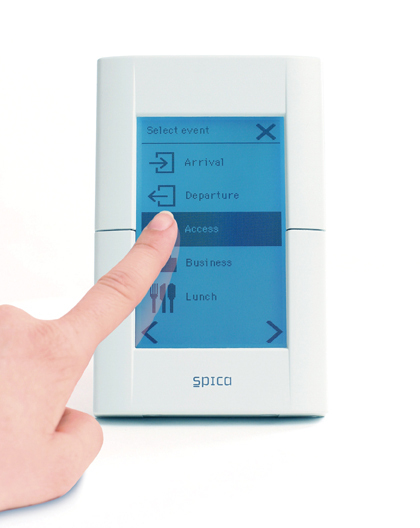 Spica Group is a leading provider of business time management and access control solutions in Adriatic region. Our own R&D has always been the key components of Spica’s strategy. Our current successful operation is undoubtedly rooted in firm reliance on our own knowledge base and skills that were built through systematic R&D programs. Our mission is to provide solutions that help corporations and organizations improve their business through personal identification. Spica is striving for its core product Time&Space to be recognized worldwide as a leading European brand for integrated time & access solutions. Spica’s latest breakthrough product releases include the new intelligent hardware platform named DOX. In contrast to traditional hardware terminal architecture, Spica has separated the human-machine interface (DOX Console) from the controls & logic (DOX Controller) and thus achieved an enviable degree of flexibility, clean and smooth design and more economic system installation. In today’s hotly contested business environment, what is your competitive edge? 1) Top pre-sales and post-sales partner support with expert knowledge of end-users’ business processes, quick response time and value-added services. 2) Vast reference list and long-term strategy combined with flexibility of custom development for top product usability. 3) Flexibility in terms of ID technologies (open readers policy, biometrics) and databases (SQL / SQL Express, Oracle / Oracle Express). 4) Optimized software graphical user interface for best user experience and performance. 5) Harmonized in-house software and hardware development. What in your opinion are some of the key technology trends in the access control and business time management market? What is SPICA International doing in this regard? Access control and business time management are indubitably affected by automatic identification technology, building automation, communication and software technology trends. We see contactless smart cards (13,56 MHz) are driving multi-applications and universal card philosophy. Although information commissioners have mostly occupied a retained position of biometrics, we see the raising importance of security and threat-prevention prevail and allow biometrics to enter many applications areas. Due to Internet and other reasons, IP has become a prevalent protocol, even for wireless connectivity. We realize NFC represents an opportunity mostly for e-purse and ticketing applications, but other application areas such as mobile business time management will be affected by it. Spica is neither a basic technology developer nor the first-to-market technology provider. We saw promising technologies, where the dissemination curve never got into the expansion phase. Spica pays full attention to all technology trends assuring risk minimization and output optimization for end-users. Please explain the current access control and business time management market in your country. And what are your marketing strategies that you are uniquely adopting for success there? Spica is based in <?xml:namespace prefix = st1 ns = "urn:schemas-microsoft-com:office:smarttags" />Slovenia, where the access control and business time management markets usually follow market conditions and trends in Western Europe. However, the demands of biometrics in Slovenia are growing. Rigid local legislation (and the practice of its interpretation) combined with strict interpretation of EU directives by Information Commissioner Office makes it difficult (not to say practically impossible) to implement biometric measures in our domestic market. The marketing strategy we are adopting for our domestic market is focused on professional services and vertical visibility.